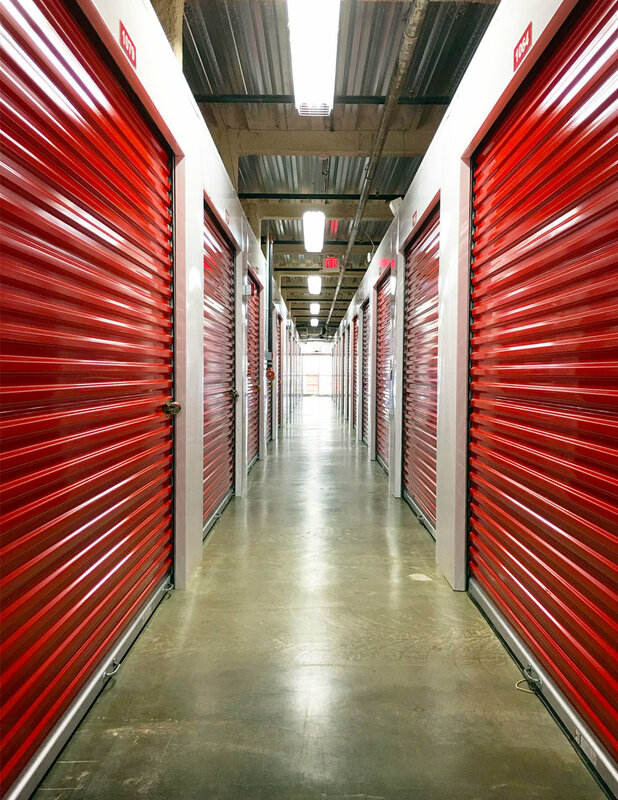 The infill site for Gaither Road Self Storage is situated just west of the intersection of Gaither Road and Shady Grove Road within the the heart of Montgomery County - one of the most affluent areas in the country. The county sits between downtown Washington, DC and Frederick, Maryland. 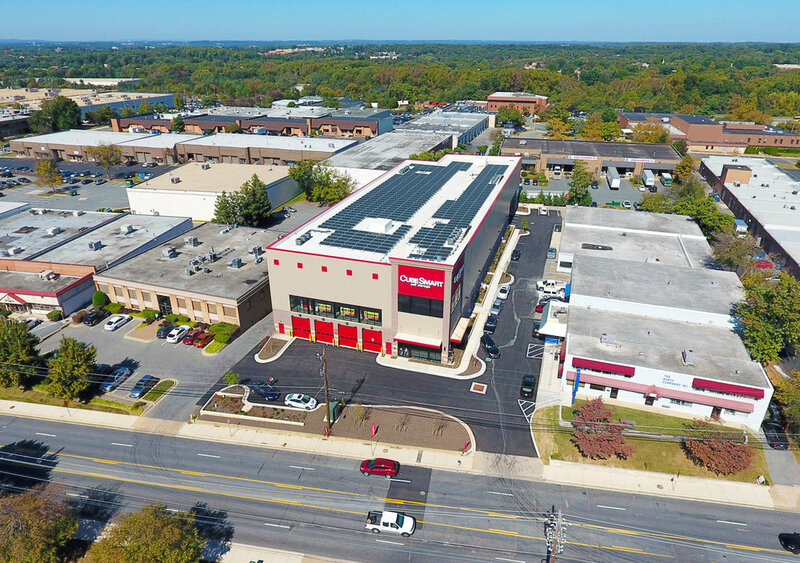 At the S/E corner of the Gaither Road / Shady Grove Road intersection a developer assembled a 31-acre site with a 5-10 year plan to create a 1.7MM SF mixed-use town center. 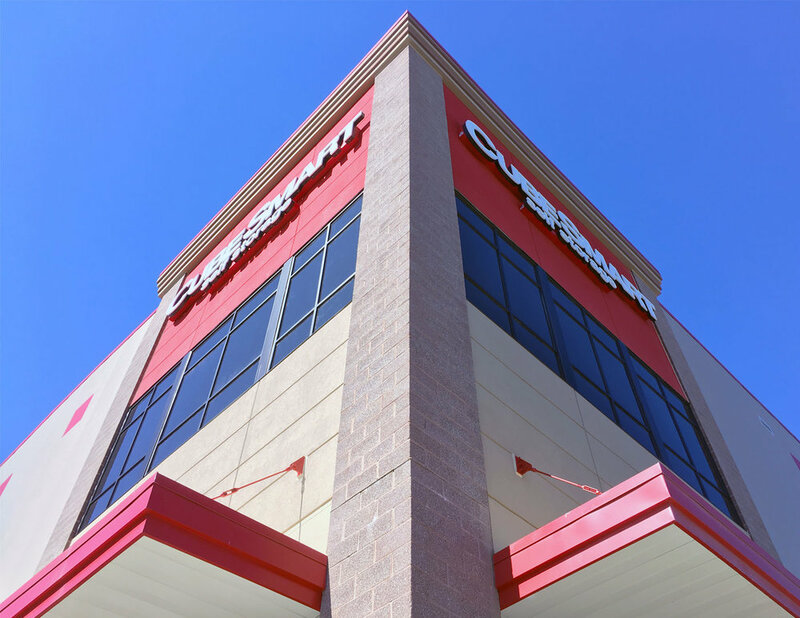 Gaither Road Self Storage is Arcland's second venture with Maisel Development and presented a fresh challenge. A portion of the two-story existing building was saved and integrated into the new design to simplify and accelerate the project's delivery. 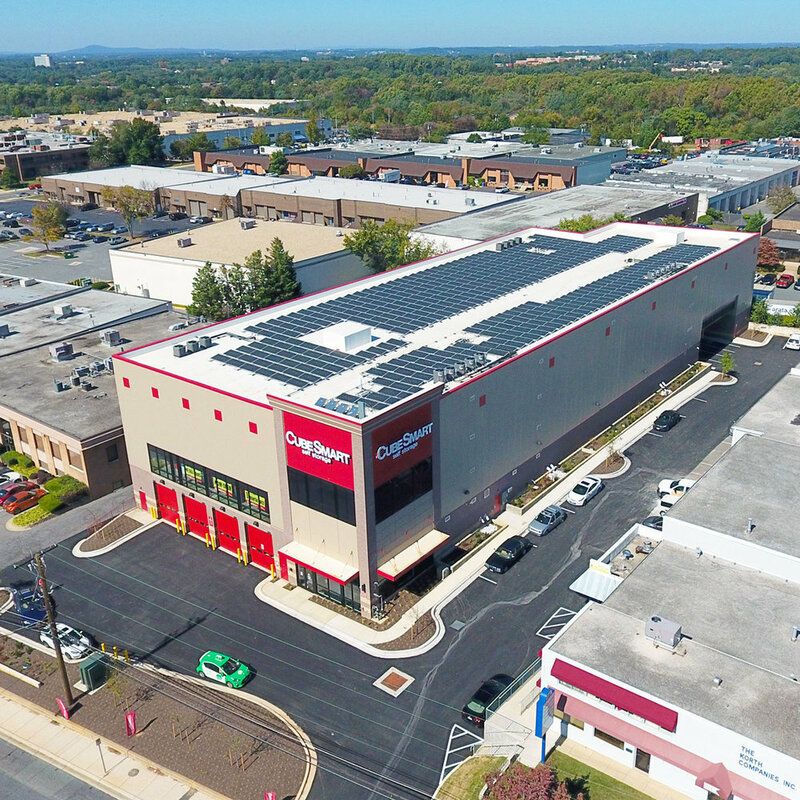 Gaither Road Self Storage is Arcland's second development to incorporate a roof-mounted solar array designed and installed by Baltimore based Suntrail Energy. Commissioned in October of 2017, the 148.92 kW system is made up of 438 individual panels which will produce nearly 200,000 kWh of electricity annually.